Below you’ll find the canonical reference for Labor Day email planning. From email examples to specific promotional strategies, we’ve included everything you need to ace your campaign. Somebody with imagination came up with this collection of items that would make any dorm room or tiny campus apartment feel less like a cell and more like a home away from home. 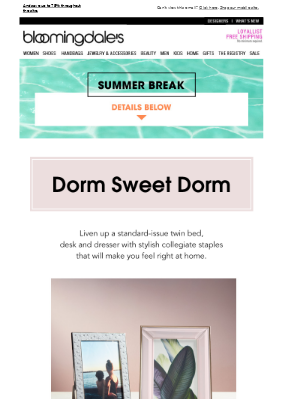 We picked this email because it captures the college zeitgeist so perfectly, from the subject line ("Dorm style 101: Cozy bedding, bright decor & more") to the hero images that focus on easily packable items that won't strain the budget. We picked this email because it combines two popular Labor Day weekend activities: traveling and shopping. You have to have music for the road trip, right? Ippolita gives its customers three sets of tunes and jewelry to match each choice. Clever and unique! We love to see a clothing line for men show its customers how to put attractive and stylish wardrobes together. It's standard practice for women's brands but not as common for men. (Forgive us for stereotyping, but the need is often greater for guys.) This brand uses style-based personas to assemble a nice variety of outfits. The effect is more helpful than promotional, yet customers can click on the items and browse or purchase them easily. 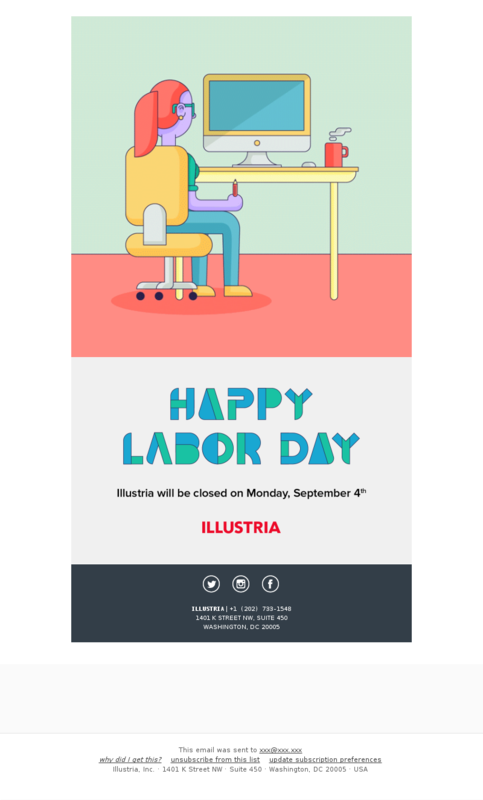 Click on this email to see the clever animation it sent at quittin' time on the Friday before Labor Day to let customers know the office will be closed on the holiday. Yes, a simple, short note would have gotten the message across, but the animation also is a clever promotion for this D.C.-based digital creative agency. 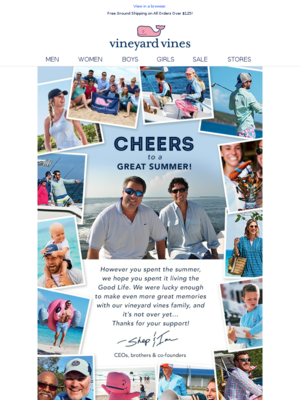 What stands out in this email, sent on Labor Day, is the collage of photos featuring Vineyard Vines company employees along with the founders: Shep and Ian Murray. It skillfully sells the leisurewear retailer's clothing and promotes a sale but with a cheerful, upbeat friends-and-family vibe. It looks more like a vacation postcard than a hard-sell promo email. It's a classic Vineyard Vines tactic for emails sent on holidays like Easter and Mother's Day. 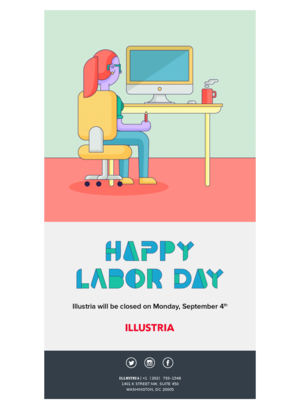 Start planning your Labor Day email strategy with great examples. This AllModern email calendar is based on AllModern, who sent 5 emails for Labor Day in 2018. This DVF email calendar is based on DVF, who sent 1 emails for Labor Day in 2018. This Burrow email calendar is based on Burrow, who sent 0 emails for Labor Day in 2018. Will you simply send one email on Labor Day or will you send a few emails leading up to it, including a “last chance” email once the event is over? Based on 6289 emails mentioning "labor day" in the subject line. Discover the most popular types of promotions used for Labor Day. Understand how steep a discount companies offer for Labor Day. You can toggle between Dollars Off and Percent Off. Ace your Labor Day email content with these ready-to-implement strategies. Enjoy! Turn this three-day weekend into a shopping extravaganza with emails that appeal to back-to-school bargain-hunters, summer lovers, and cold-weather fans who are ready for a change. Without the built-in rituals of Memorial Day and Independence Day to give you an angle for your email content, Labor Day makes you work harder to come up with something creative. So, appeal to what your customers might be doing or thinking about – quick getaways, getting ready for class, or one last long weekend of relaxation before resuming the routines of school and work. Labor Day isn’t one of the National Retail Federation’s major retail holidays. But, it does coincide with two of the NRF’s top spending events (back to college at No. 1 and back to school at No. 3). With $82.8 billion at stake just in the United States, there’s still plenty to go around. 1. Grab a share of the back-to-college market. Everybody talks back-to-school, but the college market is bigger. The average college-shopping household will drop an estimated $969.88 this year (compared to $687.82 for K-12 households), and 11% of shoppers still have items on their lists just before or after they head back to Dormland. Plus, they look for a wider array of products – home goods, small appliances, athletic gear, etc. Put together a selection of products that would appeal to college students or their doting parents. Offer a ship-to-campus option to boost the convenience factor (and reduce the load on overstuffed car trunks and U-Hauls). 2. Celebrate the long weekend. Shoppers might be relaxing on Labor Day itself, but when they aren’t flipping burgers on the grill or watching baseball on TV, they’ll probably be scrolling through their inboxes. And, what will be in those inboxes? Dozens – maybe hundreds – of emails competing with yours for their attention. You have three days to capture your readers’ interest, so change up your message. One message can highlight your end-of-season deals that draw savvy bargain-hunters. With another, experiment a little. 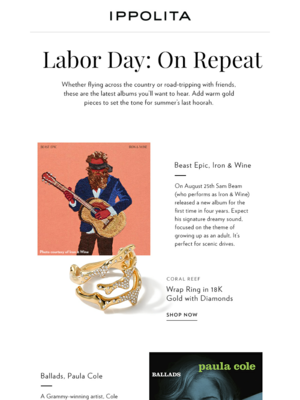 The email gallery at the top of this page includes an email from Ippolita, which ties a jewelry assortment to a road-trip playlist. Check it out to see why we think it’s worth copying. 3. Kick off the fall season with an editorial guide. Although Autumn doesn’t occur until the third week of September, many of your customers are looking forward to cooler days and fall/winter activities and holidays. 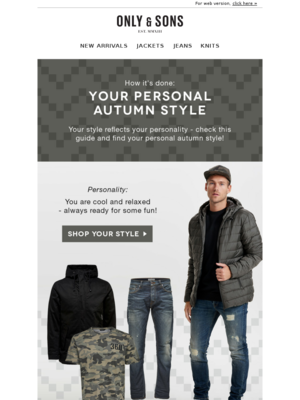 Spotlight notable pieces in your fall line, but package them into an editorial guide that tells your customers how to buy, use or wear the products instead of simply selling to them. 4. Send a Labor Day status update. Labor Day is all about out-of-office, but not everyone gets the day off. Tell subscribers what they need to know, both to avoid unhappy surprises or offer a little serendipity if you’re keeping the lights on. Things to consider: Can they still reach customer service or support even though your office is closed? Send a clever email (see the email gallery from Illustria at the top of this page). If you’re staying open, post your hours and link to your “find a store” page to help out-of-towners find your nearest outlet. Labor Day was created to recognize the achievements of America’s working class and labor unions, but today it’s more about the long weekend than the people who gave us the 40-hour workweek and child-labor laws. Why not use this occasion to recognize your employees? Customers love to see the faces behind your brand. Instead of sending another promotional email, use Labor Day to humanize your brand with photos of the people who help deliver a good customer experience time after time.